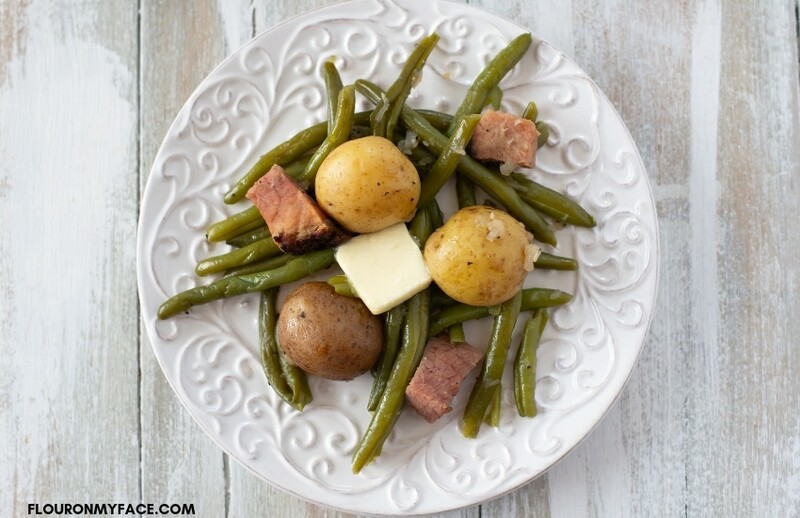 Instant Pot Green Beans and Potatoes is a favorite Instant Pot side dish recipe made with fresh green beans, new potatoes, and diced ham. 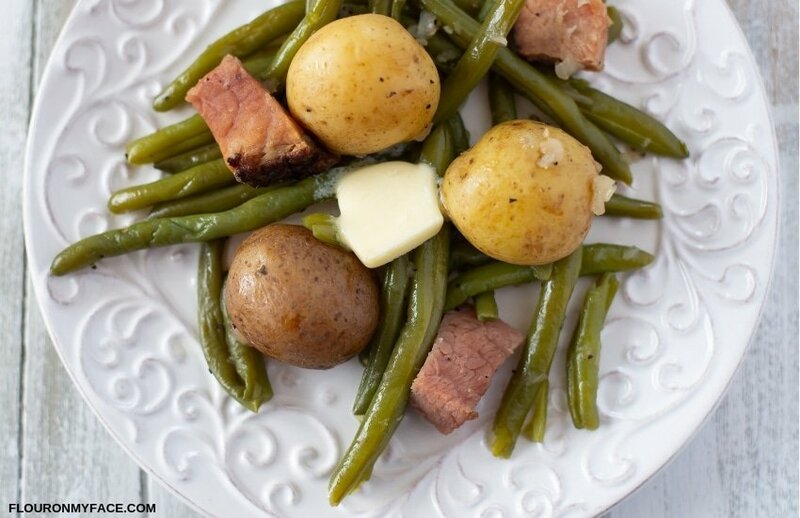 Green Beans and potatoes cooked with ham or bacon in the Instant Pot are melt in your mouth tender and packed full of the flavor of ham or bacon. I don’t think I could ever eat fresh greens any other way. Instant Pot recipes using fresh vegetable seals in all the flavors and nutrients in the enclosed environment of the Instant Pot. I love cooking fresh green beans with ham. Ham or bacon adds so much flavor to fresh green beans. I’ve made Crock Pot Green Beans with ham. I’ve also made Instant Pot Green Beans with ham. Now I have made Instant Pot Green Beans with Potatoes and ham. Before I owned a Crock Pot or Instant Pot I would cook fresh green beans with ham on the stove. It seems like I have been making southern style fresh green beans all my life. How long do you cook fresh green beans and potatoes in the Instant Pot? 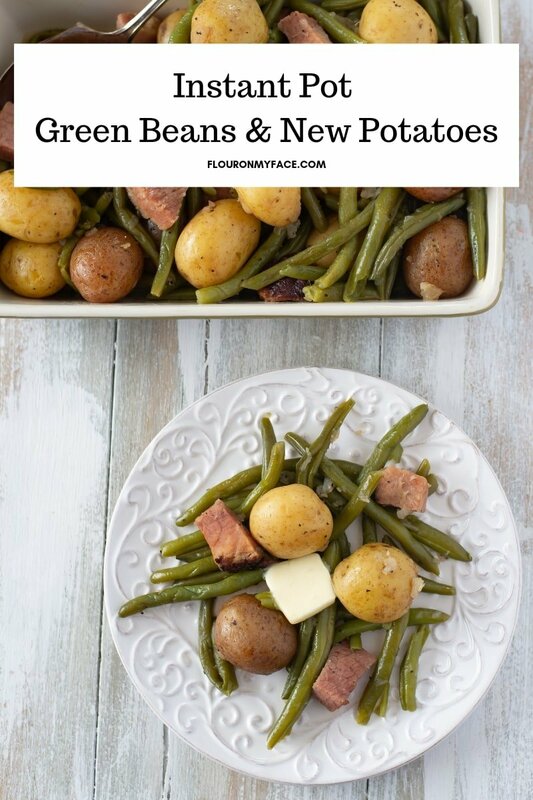 Instant Pot fresh green beans and new potatoes are cooked for 5 minutes in the Instant Pot on the manual setting. The fresh green beans and new potatoes will be tender and delicious. It is so easy to cook fresh vegetables in the Instant Pot. Instant Pot Red Potatoes are steamed to perfection and can be eaten hot with melted butter right from the Instant Pot or can be used to make your favorite potato side dish recipes. It is so easy to make potato salad when you use Instant Pot Red Potatoes. I’ve also made Instant Pot Salt Potatoes. Salt potatoes are an interesting recipe. There is a lovely history behind this new potato recipe from Syracuse, New York. Have you ever had Salt Potatoes? Place the diced onions into the bottom of the Instant Pot. Next, add the baby potatoes to the Instant Pot. Add the fresh green beans on top of the potatoes. Add the salt and pepper, sprinkling it over the potatoes and green beans. Add the ham to the Instant Pot. Lastly, pour in the chicken stock or water. Place the Instant Pot lid on and twist into the locked position. Make sure the valve is set to the sealing position. Press the manual button and set the time to 5 minutes. Once the timer has gone off and the Instant Pot has finished pressure cooking allow the steam to naturally release for 20 to 25 minutes. The shorter time will yield firmer green beans. Carefully using a wooden spoon push the valve to the open position and allow the steam to release. Once the steam has finished releasing open the Instant Pot lid. 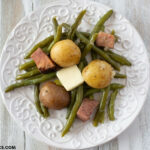 Transfer the cooked potatoes and green beans to a serving bowl before serving. I put the potatoes on the bottom so they would not smash the fresh green beans. No chicken broth on hand no problem use water. No leftover ham to use you can use 8 ounces of diced bacon instead. 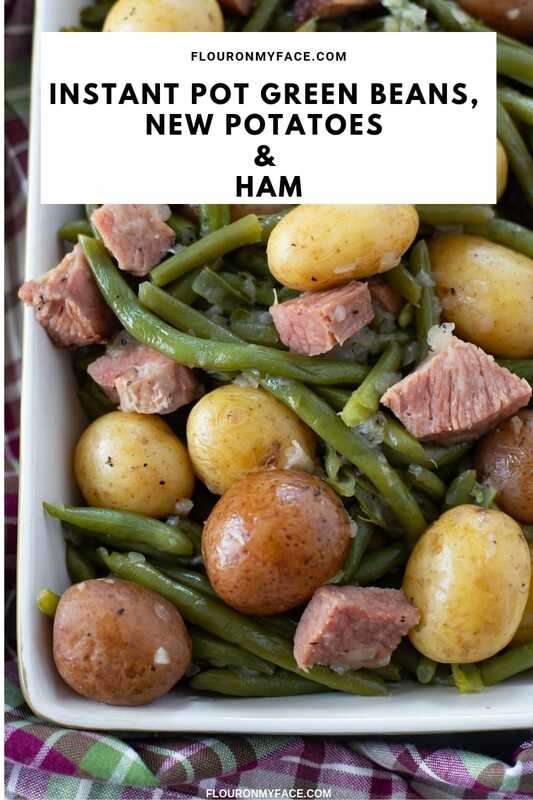 Instant Pot Green Beans and Potatoes recipe is made with fresh green beans, new potatoes, and ham. This southern style green beans recipe is melt in your mouth and flavored with smokey ham or bacon. Once the steam has finished releasing carefully open the Instant Pot lid. 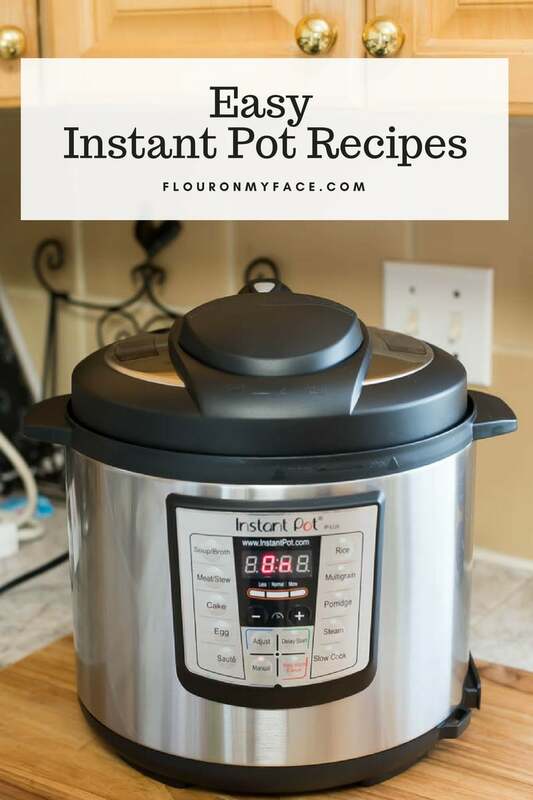 Check out my Instant Pot recipes page for more easy Instant Pot recipes.